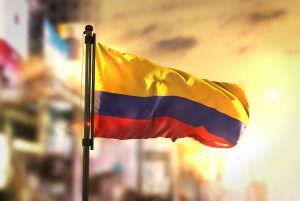 Colombia will join the Organization for Economic Cooperation and Development following an agreement among the 35-nation forum’s member states ahead of this week’s OECD ministerial. Colombian President Juan Manuel Santos and OECD Secretary General Angel Gurría are expected to sign an accession agreement at the annual ministerial-level council meeting, which is scheduled for May 30, according to the OECD. Following the Trump administration’s proposed Section 301 tariffs on Chinese goods, USCIB Senior Director for Investment, Trade and Financial Services Eva Hampl testified before the Section 301 Committee, chaired by USTR on May 16 regarding the proposal. Hampl’s testimony reflected USCIB member concerns about potential consequences the proposed tariffs will have on sectors vital to the U.S. economy. Her testimony was drawn from comments USCIB sent earlier this month to the U.S. Trade Representative Robert Lighthizer. Hampl was joined by over 100 other business representatives to share specific concerns regarding the proposed tariffs. 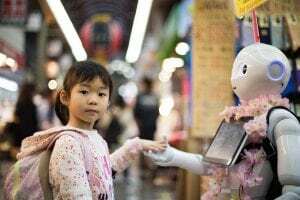 “We believe that the imposition of tariffs will not achieve the important goal of changing China’s behavior in the space of emerging technologies and intellectual property rights,” said Hampl in her testimony. “China’s threat of retaliation further exacerbates uncertainties caused by this proposed action. Rather than create more opportunities for U.S. business, sweeping tariffs will stifle U.S. agriculture, goods, and services exports and raise costs for businesses and consumers. Hampl emphasized the need for a “holistic structure” to address the aforementioned issues. Speaking on behalf of USCIB, Hampl applauded the Trump administration for looking at alternative approaches, such as initiating a WTO dispute by requesting consultations with China. “It is important for the administration to address these issues with a broad view, working collectively with U.S. industry, Congress, and our trading partners, to adequately address China’s unfair trade practices and get China to be WTO compliant,” noted Hampl. The proposed tariffs pose a unique challenge to industrial inputs, which represent over 80 percent of the proposed list. Tariffs on industrial goods are especially problematic because they represent not just a tax on U.S. consumers but a tax on U.S. manufacturers and workers, and on the products they export. 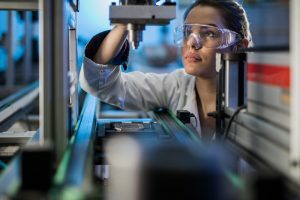 Tariffs on aerospace, machinery and IT parts and other advanced technologies can undermine the most competitive sectors of American manufacturing, driving up production costs in the U.S., impacting U.S. manufacturing employment, and making U.S. manufacturers less competitive against global rivals. In addition to the testimony, USCIB also co-sponsored a reception last week for Hill staff centered around the China 301 hearing, as well as NAFTA, celebrating Great American Jobs Supported by Trade. Representatives from U.S. government, companies, and associations, spent the evening discussing various important developments in the trade space. 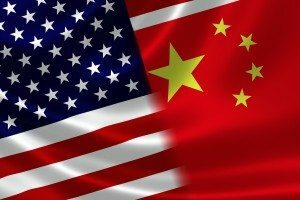 In light of the Trump administration’s proposed Section 301 tariffs on Chinese goods, USCIB sent comments last week to the U.S. Trade Representative Robert Lighthizer expressing concern about the potential unintended negative consequences the proposed tariffs will have on sectors vital to the U.S. economy and jobs. With $587.6 billion in total goods trade in 2016, China has become the United States’ largest goods trading partner. China was also the third-largest export goods market in 2016 for the U.S., while U.S. foreign direct investment in China was $13.8 billion in 2016, with the ICT sector alone encompassing $4.34 billion. “China can be a challenging market for U.S. companies to navigate. The ongoing intellectual property rights violations, forced technology transfer requirements, and state interventions harm U.S. companies, workers, consumers, and competitiveness,” stated Eva Hampl, who leads USCIB work on China-related issues. Made in China 2025 is considered by many an indication that China plans on further advancing in developing their high-tech industries, such as robotics, advanced information technology, aviation, and new energy vehicles, with the eventual goal of global dominance in those industries through uncompetitive means such as subsidies. The comments urge the administration to use this public comment period to listen to USCIB members and other U.S. stakeholders who explain how they will be directly affected by the proposed tariffs. USCIB has also signed on to a broader coalition of trade associations to echo these and other business concerns. Additionally, USCIB is co-sponsoring a reception later this week for Hill staff centered around the China 301 hearing, as well as NAFTA, celebrating Great American Jobs Supported by Trade. Finally, USCIB will also testify this week as part of the China 301 hearing. As part of USCIB’s Geneva Week, USCIB staff and members had the opportunity to participate in the annual World Intellectual Property Day on April 26 in Geneva to celebrate the role that intellectual property rights play in encouraging innovation and creativity. This year’s campaign celebrated women who are driving societal change and shaping “our common future” through innovation and creativity. The USCIB delegation attended a reception sponsored by Mexico, Indonesia, South Korea, Turkey and Australia (MIKTA), an informal partnership created in 2013 on the sidelines of the United Nations General Assembly to support effective global governance. 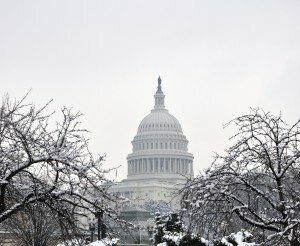 Washington, D.C., March 22, 2018 – The United States Council for International Business (USCIB), which represents America’s most successful global companies, responded to the Trump administration’s plans to impose tariffs on billions of dollars of Chinese exports along with restrictions on Chinese investment in the United States. USCIB expressed continued concern over Beijing’s trade abuses while also urging the administration to tread carefully to avoid a trade war. President Trump today announced his intention to impose tariffs on some $50 billion of exports from China under Section 301 of the 1974 trade act, in response to intellectual property violations and other trade abuses. Specifically, he instructed the office of the U.S. Trade Representative to publish, within 15 days, a list of proposed Chinese goods that could be subject to tariffs, while the Treasury Department will have 60 days to recommend steps to restrict Chinese investment in the United States. Last week, USCIB was actively involved in various meetings with the Colombian government, business community and civil society on the issue of Colombia’s accession process to the Organization for Economic Cooperation and Development (OECD). 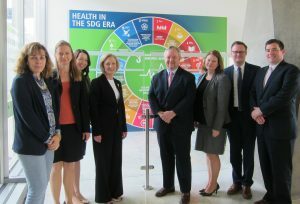 USCIB Director for Investment, Trade and Financial Services Eva Hampl, who coordinates U.S. business input on OECD accession issues attended a number of these meetings, along with USCIB Senior Vice President for Policy and Government Affairs Rob Mulligan. “With only two outstanding OECD Committees left to approve the accession, Colombia has ramped up lobbying efforts to the U.S. business community and government,” said Hampl. The outstanding committees are the Committee for Employment, Labor and Social Affairs (ELSA) and the Trade Committee. These committees are scheduled to deliberate in March and April, respectively. In anticipation of the upcoming meeting of the Trade Committee, Colombia’s Minister of Trade Maria Lorena Gutierrez met with USCIB to discuss outstanding issues on pharmaceuticals, distilled spirits and truck scrapping, as outlined in the Business at OECD (BIAC) Pre-Accession Recommendations. Also part of the delegation was Colombia’s Minister of Finance and Public Credit Mauricio Cardenas Santamaria, who advocated strongly for Colombia to accede prior to the end of Colombia’s President Juan Manuel Santos term this summer. USCIB also had a meeting with ANDI, the National Business Association of Colombia, to discuss outstanding issues for business. Bruce Mac Master, president of ANDI led a delegation of Colombian CEOs in this meeting with the U.S. business community, in an effort to make progress on issues like trucking and pharmaceuticals. Hampl also addressed these critical issues to U.S. business with Colombian civil society in an interview on Colombian radio last week. The main concerns raised during that conversation were on the timing of the accession process given the expiring term of President Santos, and substantive issues on pharmaceuticals, including patents. During the months of December 2017 and January 2018, USCIB Staff arranged for members to meet on CFIUS with Heath Tarbert, Treasury, and internet governance with Robert Strayer, State, issued the USCIB 2018 Trade and Investment Agenda, participated in a Senate Lobby Day on NAFTA, traveled to Montreal for the 6th round of NAFTA negotiations, led a meeting with USTR on OECD Accession issues for Colombia, submitted comments to a UK consultation on digital taxation, and much more. Below are summaries of these and other highlights from the activities of USCIB in Washington, D.C. over the last two months. If you have any questions or comments, or want more information on a specific topic, please contact any of the staff members listed at the end of this brief. Assistant Treasury Secretary Tarbert Briefs USCIB Trade Committee on CFIUS: On December 12, 2017, the USCIB Trade and Investment Committee met at the Citigroup Offices in Washington, D.C. The committee was joined by Heath P. Tarbert, Assistant Secretary of the Treasury for International Markets and Development, who provided an off-the-record briefing for members on the work of the Committee on Foreign Investment in the United States (CFIUS) and the proposed legislation in the Senate to reform the CFIUS process. Tarbert was joined by Deputy Assistant Secretary for Investment Security, Aimen N. Mir, who leads the interagency CFIUS process. Carol Doran Klein, USCIB Vice President and International Tax Counsel, then briefed the committee on the international provisions of the tax reform bills then in the House and Senate, and following this update, the committee was joined via conference call by Perrin Beatty, President and CEO of the Canadian Chamber of Commerce. Beatty gave his assessment of the state of the NAFTA negotiations and the perspective of the Canadian businesses community and government. Finally, Tatjana Sachse, Counsel from Sidley Austin’s Geneva office, called in to the meeting and provided a report directly from Buenos Aries on the latest at the WTO Ministerial. USCIB Spells Out Priorities for U.S. Trade and Investment Policy: In January USCIB issued its 2018 Trade and Investment Agenda outlining our policy priorities for the year. The Agenda highlights USCIB’s commitment to a global rules-based trade and investment system that opens international markets. Other key principles include support for strong enforcement of existing U.S. trade pacts, pursuing new trade and investment agreements, and ensuring strong investment protections. The Agenda stresses the importance of U.S. engagement and leadership in creating and enforcing rules for international trade and investment. It also emphasizes the need for policies to improve U.S. competitiveness such as preparing U.S. workers to compete and succeed in the 21st century economy. The Agenda has been shared with the White House, USTR and the lead Congressional trade staff. Hampl Advocates on NAFTA in Montreal: The 6th round of NAFTA negotiations took place in Montreal starting on January 21, with a concluding Ministerial on Monday, January 29, 2018. Eva Hampl, USCIB Director, Investment, Trade and Financial services, traveled to Canada for the round, and together with member companies and associations, met with negotiators from the U.S., Canada, and Mexico, as well as congressional staff, Republican and Democratic members of congress, and members of the Canadian and Mexican business community. In his Closing Statement, Amb. Lighthizer acknowledged that some progress has been made, but that it is slow. Importantly, he noted that the United States is committed to moving forward with negotiations. The next round of negotiations is scheduled to take place in Mexico City from February 26 to March 6. In line with Amb. Lighthizer’s remarks, the feeling on the ground during the week was one of progress and proceeding in a workmanlike and constructive manner. The four “poison pill” proposals, as they have been called (automotive rules of origin, investor-state dispute settlement (ISDS), government procurement, and sunset provision) remain contentious, though Canada and Mexico have presented new and creative ideas in an attempt to work within the U.S. proposals. Of particular concern is the U.S. proposal on the ISDS provision and dispute settlement more generally in the agreement. USCIB will continue to engage on these important issues and advocate for priority issues of our members. USCIB Lobbies the Senate on NAFTA: On January 17, 2018, USCIB participated in a Senate Lobby Day on the Hill, speaking with a range of Republican and Democratic offices. Eva Hampl participated on behalf of USCIB. Following two successful lobby days in the fall, in the House and Senate respectively, these January meetings were organized in the leadup to the 6th round of NAFTA negotiations that took place in Montreal the week of January 21. Throughout the day, about 150 members of the NAFTA Coalition met with as many Senate offices as possible, raising our issues of concern. The Coalition emphasized the outstanding issues regarding the problematic proposals of a sunset clause, investor-state dispute settlement, automotive rules of origin, and government procurement. We also made the point that there are many chapters that are making progress, including customs and digital trade, which are vital for business and should get closed out as soon as possible. USCIB Leads USTR Meeting on OECD Accession for Colombia and Plans for Future Accessions: Mid-January, Eva Hampl led a group of companies and associations in a meeting with USTR to discuss OECD Accession issues for Colombia. On the USTR side the meeting included Cara Morrow, ‎Deputy Assistant USTR for WTO and Multilateral Affairs, Leslie O’Connor, Deputy Assistant USTR for Central America and the Dominican Republic, Joe Whitlock, USTR Senior Director for Innovation and Intellectual Property, and Zoe Sophos USTR Deputy Director for WTO and Multilateral Affairs. The meeting served as a follow up to the November meetings of the OECD Trade Committee, where Colombia accession was discussed. Significant issues remain and Colombia is required to continue to make further changes before being able to accede to the OECD. USCIB will continue to strongly advocate on the outstanding issues for our companies. It is important that Colombia is only permitted to accede when all high OECD standards have been met, particularly with other countries in discussions of starting the accession process. The applicant countries are Argentina, Brazil, Peru, Romania, Bulgaria, and Croatia. To ensure that business views are appropriately represented in the process, Business at OECD (BIAC) has issued a statement outlining a process for input, noting in part that a commitment to open markets should guide any decision to the opening of accession negotiations, and the accession process should encourage countries to improve their business environment and engage in the necessary reforms. USCIB and State Department Consulting on Next Generation of OECD Accession Candidates: Rob Mulligan, USCIB Senior Vice President, Policy and Government Affairs, led a USCIB staff team in an early January session with the State Department’s team managing U.S. relations with the OECD to compare notes on assessments and priorities among the six new countries seeking to get invited into the formal queue for accession into OECD membership. With three Latin countries (Argentina, Brazil, and Peru) and three EU members (Bulgaria, Croatia and Romania) putting their candidacies forward, some complications arise, including each applicant’s willingness and ability to meet the OECD standards and conditions for membership, the extent of true “like-mindedness” of each candidate, and the balance between European and non-European members in the OECD. Once a country gets into the queue, it then must pass muster in rigorous reviews by dozens of OECD committees and working groups; a process that usually takes several years. Much of the attention at this point is focused on Brazil, a major global player but, unfortunately, one currently far from OECD standards on laws, regulations and policies in key areas. The good news is that USCIB is in an active dialogue with the U.S. Government and we seem to be on the same wavelength. USCIB Advocates for Open Investment Climate in CFIUS Reform Discussions: In November of last year, Senators John Cornyn (R-TX) and Dianne Feinstein (D-CA), together with the Chairman of the Senate Select Committee on Intelligence, Richard Burr (R-NC) introduced the Foreign Investment Risk Review Modernization Act (FIRRMA), the legislation intended to modernize and strengthen the process of the Committee on Foreign Investment in the United States (CFIUS). Since then, USCIB and our members have been carefully reviewing the legislation, as it raises several concerns as to scope. In addition to continued dialogue with other associations concerned about FIRRMA, USCIB is in the process of finalizing Policy Pillars on the legislation, outlining the general view that CFIUS plays a very important role, but that any legislation must remain focused on national security review only, and that any expansion in scope is carefully calibrated so as not to hamper U.S. innovation and development. Several hearings have already been held on the subject, so the process is moving forward. USCIB plans on remaining very engaged on CFIUS reform, to ensure that the U.S. retains the open investment environment that has enabled our companies to grow and thrive over the years. USCIB Reviews OECD Investment Issues with State Department: USCIB staffers Shaun Donnelly, Vice President, Investment and Financial Services, and Eva Hampl met in mid-December with Michael Tracton, Director of the Office of Investment Affairs (OIA) in the State Department’s Bureau of Economic and Business Affairs to review OECD investment policy issues and to seek U.S. Government support for greater business community input and participation in OECD investment policy work. Mike Tracton heads the U.S. Government delegation to the OECD Investment Committee meetings and is a member of the Committee leadership “Bureau.” USCIB and the broader Business and Industry Advisory Committee (BIAC) international business group at the OECD have long been seeking to open up more of the OECD Investment Committee’s closed-door session to BIAC and other official stakeholders. Mike Tracton and the U.S. Government are supporting that effort. Shaun Donnelly will represent USCIB at the upcoming March Investment Committee meetings where we will continue to advocate for strong investment agreements, including investor-state dispute settlement (“ISDS”) provisions to ensure investor rights can be enforced. 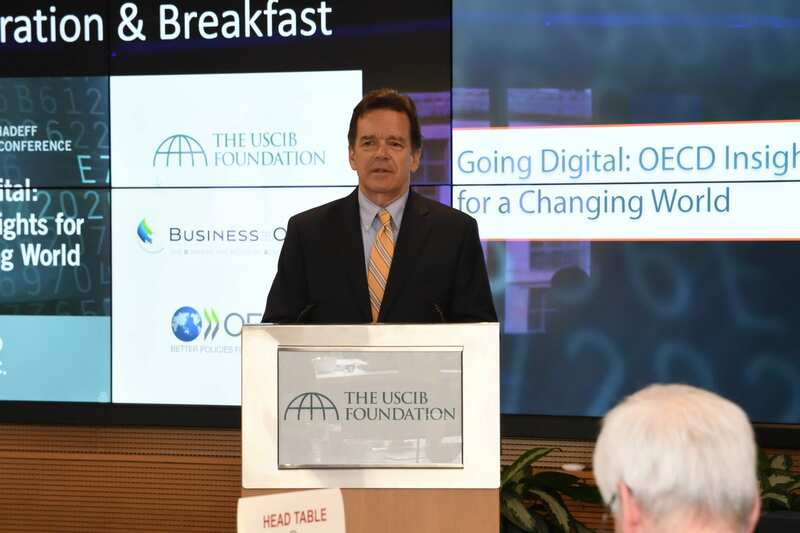 USCIB Members Engage with U.S. Government Officials on OECD Digital Economy Program Priorities, 2019-2020: On December 11, 2017, USCIB hosted a meeting to enable members to engage with relevant staff from the State Department, Commerce Department, Federal Communications Commission, and Federal Trade Commission on the OECD’s digital economy program priorities for 2019-2020. The informal, off-the-record session featured an exchange of views on substantive elements of the projects proposed by the OECD Committee on Digital Economy Policy for the upcoming work period as well as research methodology. State Department Invites Discussion about 2018 Challenges/Opportunities in Internet Governance: On December 13, 2017, Robert Strayer, Deputy Assistant Secretary for Cyber and International Communications and Information Policy, State Department, was the featured speaker at the 4th quarter meeting of the ICT Policy Committee. He explored the 2018 internet governance landscape, a discussion that featured extensive discussion about the importance of ensuring that the Internet Governance Forum (IGF) remains a viable multistakeholder platform for non-binding discussions about a broad array of Internet-related issues. Discussions also reflected a convergence of views concerning priorities for the 2018 ITU Plenipotentiary, which will be held October 29-November 16, 2018 in Dubai, UAE. In addition, USCIB members provided important updates on the following topics: (1) Ellen Blackler (Disney) and Rich Clarke (AT&T) debriefed on the outcomes and implications of the November 2017 meetings of the OECD Committee on Digital Economy Policy (CDEP) and its Working Parties; and (2) Keith Drazek and David McAuley (VeriSign), Denise Michel (Facebook), and Chris Wilson (Amazon) examined key issues addressed at ICANN 60 such as the contractual compliance challenges posed by the EU General Data Protection Regulation (GDPR), the Board’s suspension of an important community-driven security review, the wrap up of Enhancing ICANN Accountability Workstream 2, and Amazon’s application for the .amazon top-level domain name. Chair Eric Loeb concluded the meeting with a review of the committee’s 2018 Goals and Objectives. USCIB Advocates Bridging the Gender Digital Divide through Multistakeholder Processes: On December 15, 2017, USCIB submitted comments as part of the open consultation convened by the International Telecommunication Union (ITU) Council Working Group on International Internet-related Public Policy Issues (CWG-Internet) on the topic of “Bridging the Digital Gender Divide.” USCIB underscored that no one organization can tackle this problem alone; partnerships are critical, between the public and private sectors, business and non-profits, intergovernmental organizations, and between local and national governments. USCIB further highlighted the effectiveness of using multistakeholder processes to bridge the gender digital divide. USCIB Bids Farewell to Key EU Digital Economy Officer and Welcomes his Successor: USCIB hosted a special get-together January 17, 2018 to bid farewell and express appreciation to Andrea Glorioso, Digital Economy Counsellor, Delegation of the European Union to the USA, for his openness to working with U.S. business during his nearly four-year term in the Washington office. Members, in turn, welcomed Glorioso’s successor, Peter Fatelnig. The informal gathering featured discussion about current issues in U.S.-EU relations and areas of cooperation – and challenge – going forward. USCIB Submits Comments in Response to European Commission Consultation on the Tax Challenges of the Digitalized Economy: In response to a request for input The taxation of the digital economy will be the main issue addressed internationally this year. The UK has issued two position papers (one on the digital economy and the other on royalties withholding) USCIB submitted a response to the consultation on the digital economy and will submit a response to consultation on royalties, which is due shortly. There is enormous pressure within the EU and elsewhere to come up with new rules for taxing the digital economy. Many countries feel the need to increase the share of the income that is taxable in the market economy, regardless of whether there is a traditional presence in the market economy. USCIB will participate in this debate and attempt to ensure that U.S. business views are fully represented. USCIB Submits Comments on Section 965: The USCIB Tax Committee submitted a letter to the Treasury concerning the implementation of new section 965. The letter focused on the distinction between cash and non-cash assets and the possibility of double counting and ways to avoid double counting. USCIB will be holding a Tax Committee meeting on February 22, 2018. The taxation of the digital economy and the new tax law will be a focus of that meeting. USCIB Customs Leadership Meets with New CBP Trade Relations Director: On January 31, 2017, Megan Giblin, USCIB Director for Customs and Trade Facilitation, and Jerry Cook, Hanesbrands and USCIB Customs Committee Chair, had a meet and great with U.S. CBP Office of Trade Executive Director, Bradley Hayes. 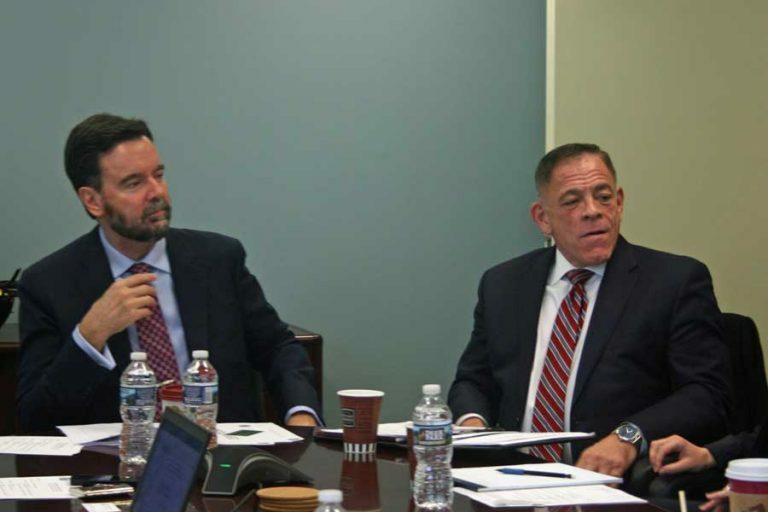 The meeting covered USCIB Customs Committee issues and interests, as well as follow-up on key priority issues discussed in the USCIB’s 2017 meeting with then Acting Commissioner McAleenan such as e-commerce, customs valuation, and forced labor. We look forward to continuing our close partnership with CBP. Giblin Talks APEC Customs Work with USTR, USAID: On January 12 and 17, 2018, Megan Giblin met with USTR APEC and USAID APEC representatives to discuss USCIB engagement on Customs and Trade Facilitation issues. These included the Alliance for Supply Chain Connectivity (A2C2), specific issues of interest and possible event topics for APEC 2018 events hosted by Papua New Guinea, as well as industry engagement efforts focused on Customs and Trade Facilitation topics. Colombian Embassy Officials Hear from USCIB Customs Committee Members: On November 30, 2017, USCIB Customs Committee Members met with Colombian Embassy representatives to discuss Colombia’s domestic TFA ratification status, customs valuation concerns, as well as other non-tariff barriers faced at, or in relation to, the Customs border. Future meetings with Colombian Customs and Customs attachés will build on these discussions in efforts to resolve USCIB member concerns. USCIB Participates in ICC Intellectual Property Commission Meeting: Mike Michener, USCIB Vice President, Product Policy and Innovation, participated in the most recent ICC IP Commission meeting in Geneva that was held at the offices of the World Intellectual Property Organization (WIPO). Senior officials from WIPO and the WTO made presentations on developments and activities in areas of interest to business, such as copyright, enforcement, trademarks, designs and GIs, patents, genetic resources and traditional knowledge, WIPO projects on intangibles in global value chains, databases, medicines and climate change, and IP-related developments in the WTO. The Commission will closely monitor developments in the draft Hague Convention on the Recognition and Enforcement of Judgments and evaluate what action ICC should take at the next commission meeting in March, after studying The Hague Secretariat report on the possible consequences of various options, expected shortly before the meeting. USCIB Highlights Critical Role of Private Sector in Medical Innovation: In December, 2017, USCIB participated in the OECD Health Committee, which discussed among other issues OECD work exploring Sustainable Access to Innovative Therapies. BIAC Health Committee Chair Nicole Denjoy emphasized the role of business as a key stakeholder in this debate, and Vice Chair Thomas Cueni highlighted the critical importance of adopting a holistic system-wide approach. 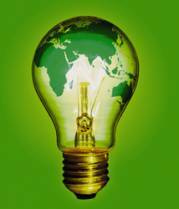 Business at OECD (BIAC) contributed to this OECD project during stakeholder consultations in December 2016, and May and June 2017, and has also contributed to the report through substantive empirical evidence. Ali Karami Ruiz, BIAC Director for Policy, Communications, and International Affairs,showcased business contributions towards health literacy efforts in the context of OECD efforts in this field. USCIB’s Michael Michener, PhRMA’s Kevin Haninger, and IFPMA’s Andrew Jenner were also part of the Business at OECD (BIAC) delegation. New Members: USCIB has recently welcomed FMC Corporation as a new member.